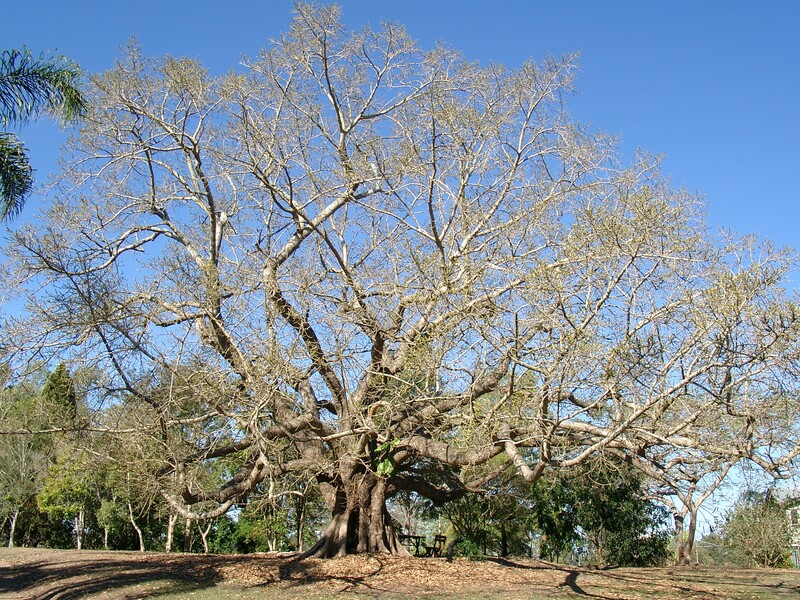 occurs as a big strangler in rainforest areas and has virtually disappeared from Brisbane’s western suburbs except perhaps for the upper reaches of Gold Creek or Moggill Creek (Graeme Wilson). 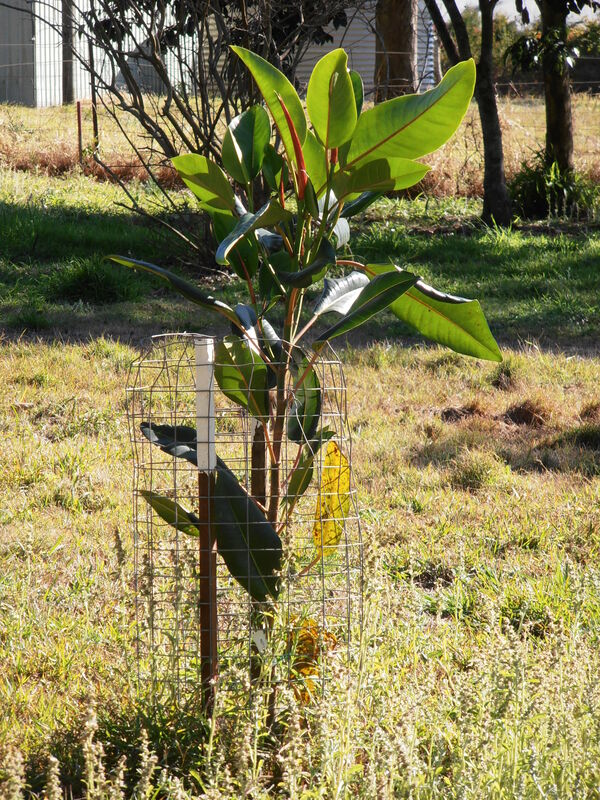 NOTE WELL: This fig in Queensland is different to the Port Jackson Rusty Fig which occurs in NSW where it has a rusty-red (rubiginosa) colour underneath the leaf. 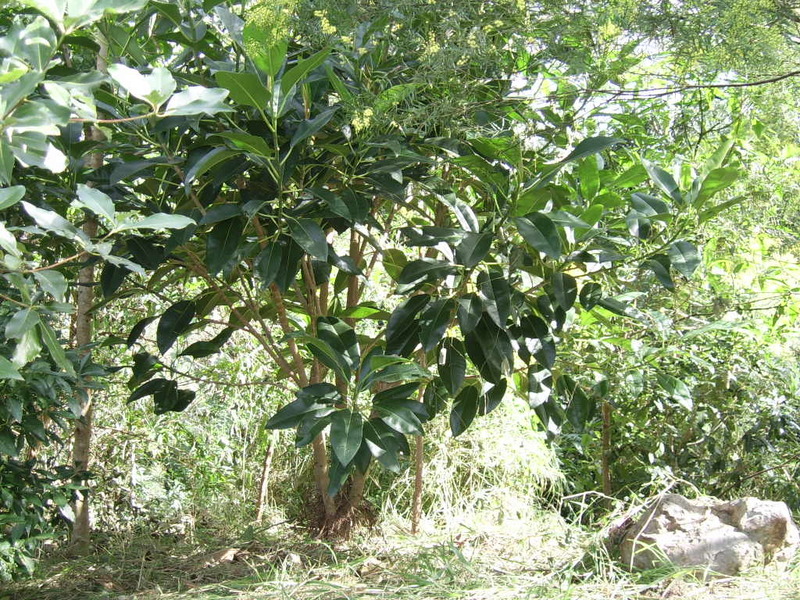 In the past it has also been known as Ficus platypoda – Rock Fig (GW). 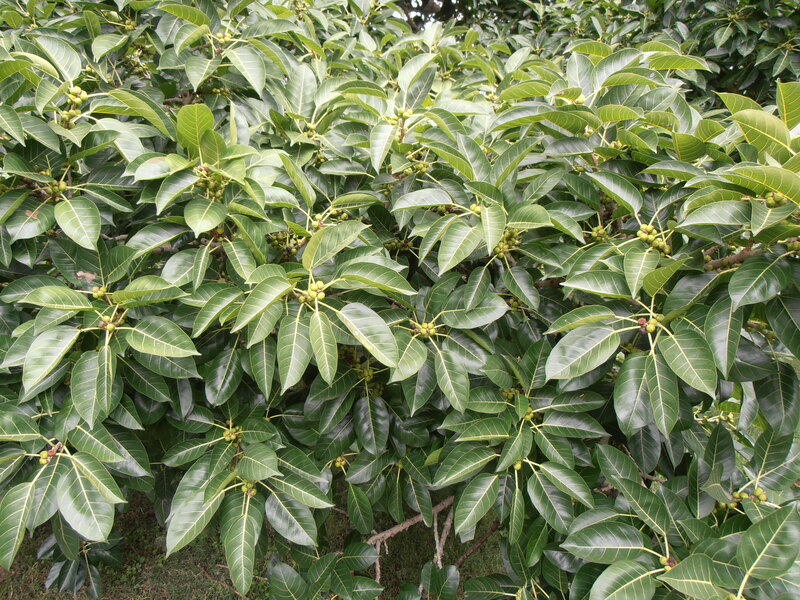 It has also been known as Ficus obliqua – Small-leaved Fig (FGAT). 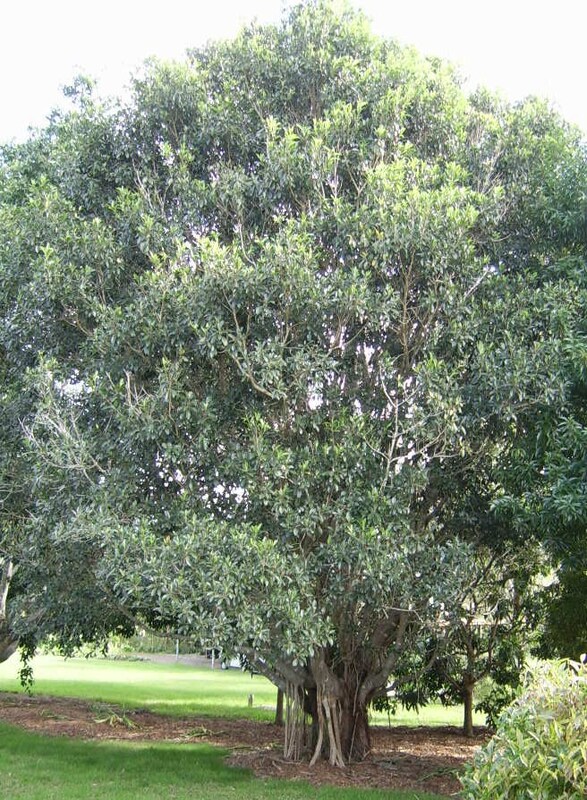 Ficus rubiginosa in SE Qld was previously known as Ficus platypoda or Ficus obliqua var. 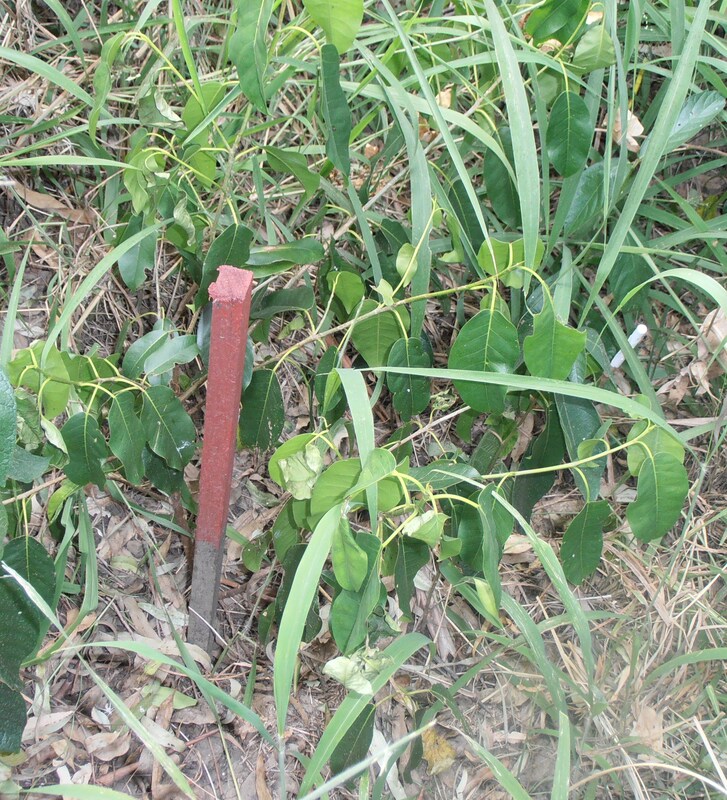 petiolaris. It is a hairless form of Rock Fig / Port Jackson Fig / Rusty Fig. 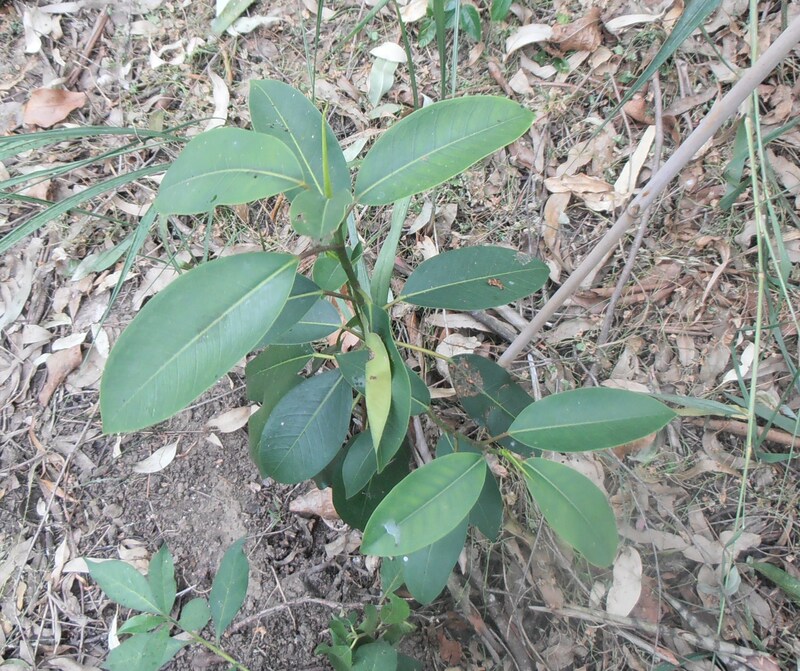 (Trees and Shrubs in Rainforest of New South Wales and southern Queensland [Williams, Harden & McDonald 1984] – also known as The Red Book – TRB). The website http://www.davidmcminn.com/ngc/pages/nativefigs.htm confirms this. 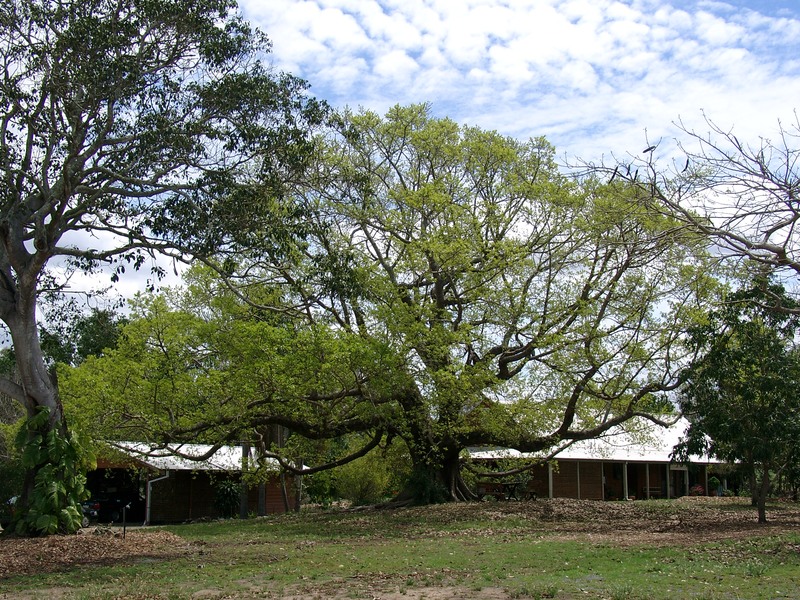 it is a banyan and can put down aerial / secondary roots/ buttresses (Wikipedia) This has occurred in only one of these figs on our property, where the septic tank has an overflow hose!